In 1969, Katherine Splain, then a student at the College of New Rochelle, saw the dark side of drug use among her peers. So she sought a different — and legal — path on her inward journey. “I had read that meditation was actually another way of achieving the kind of ‘high’ that you might experience if you did drugs,” said Ms. Splain, who is now 63. Forty-three years, one retirement and a second career later, Ms. Splain, who lives in Massapequa, N.Y., and goes by the first name Surabhi, is still practicing. 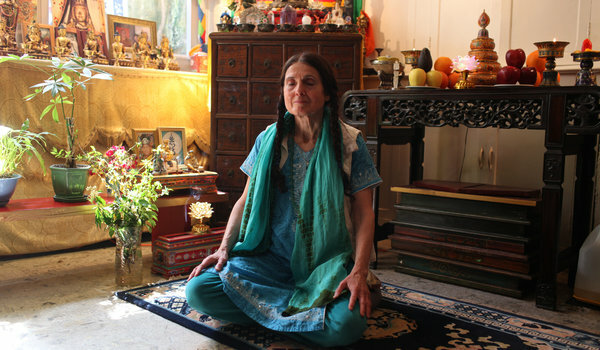 And like many other meditators, she says she believes that it has not only expanded the boundaries of her consciousness, but that it has also had beneficial effects on her brain. It follows other studies examining possible links between meditation and physical benefits. In 2009, for example, a study presented at an American Heart Association meeting suggested that the mental relaxation produced by meditation has physiological benefits for people with established coronary artery disease. The subjects — 28 men, 22 women — had a median age of 51 and had all been practicing meditation of various types for 20 years on average. The oldest subject was 71; the longest practitioner had been meditating regularly for 46 years. Dr. Luders and her team used M.R.I. scans to measure the features of the subject’s brains and compare them to a control group of nonmeditators. A striking finding of the study was that the degree of cortical gyrification appeared to increase as the number of years practicing meditation increased. Others caution that the results of these experiments do not necessarily mean that meditation conclusively caused the adaptations in the brain or that the increased folds meant improved cognitive performance for these older adults. “I don’t think there’s enough evidence yet to say that,” said Dr. Josephine P. Briggs, director of the National Center for Complementary and Alternative Medicine, a part of the National Institutes of Health. But she said that challenging the brain was often cited as a good way to maintain cognitive health as people age, and meditation is indeed such a challenge. “This is an example of learning a new mental skill,” she said. And “it’s something that with practice people can get better at.” (She also noted that other studies had shown that meditation could be beneficial in pain relief). In the 2009 study presented to the heart association, researchers followed about 200 high-risk patients for an average of five years. Among the 100 who meditated, there were 20 heart attacks, strokes and deaths; in the comparison group, there were 32. The meditators tended to remain free of disease longer and also reduced their systolic blood pressure. That study was conducted at the Medical College of Wisconsin in Milwaukee, in collaboration with the Institute for Natural Medicine and Prevention, a research institute based at the Maharishi University of Management in Fairfield, Iowa. The institute’s director, Dr. Robert H. Schneider, suggested that the stress reduction produced by the meditation could cause changes in the brain that cut stress hormones like cortisol and damp the inflammatory processes associated with atherosclerosis. Ms. Splain’s practice of meditation has, over the years, deepened into something far more than a way to flex her cognitive muscles. In 1970, she became a devotee of the Queens-based Indian spiritual leader Sri Chinmoy, a vegetarian and a marathon runner, and later worked for the United Nations. Now a devout Buddhist, she is planning a trip to Tibet next year for the culmination of an intense, seven-year course of spiritual enlightenment that involves mediating three hours a day. What do Steve Jobs, Ray Dalio, Bill George, Marc Beinoff and Phil Jackson have in common? They are visionaries, have been known to lead and inspire teams, and have achieved significant success in their professional lives. They have one more thing in common – meditation. Could their focus on contemplative practices have something to do with their huge successes? Suken Vakil & I (Nikita Singhal), both OG, are looking to answer that exact question, and we’ve designed an independent study under the guidance of Prof. Sandra Sucher, titled Meditation & Business Leadership. How did we get interested? This past summer, I was fortunate to take a meditation workshop with the Art of Living Foundation in New York City. I have been meditating every day since, and have found that 25mins of meditation makes me think more proactively about my priorities, focus better, see issues from a new vantage point i.e. more objectively, and not get stressed about inconsequential events. Suken learned about contemplative practices through traveling in India with family. We began to share our thoughts with friends and faculty on campus, and were surprised by the openness and interest amongst all. There seems to be an increasing awareness for contemplative studies at Harvard. A study led by psychologist Sara Lazar at Harvard Medical School, was the first to document meditation-produced changes over time in the brain’s gray matter, in areas associated with attention and emotional integration. HBS Professor Sandra Sucher is part of a cross-university study that looks at contemplative dimensions of leadership and leadership education, and they have invited guests such as Dr. Jon Kabat Zinn, author of several scientific papers on mindfulness and co-author of The Mind’s Own Physician. In A Powerful Silence, author Maia Duerr suggests that we are “in the midst of a massive demystification and democratization of contemplative practices”. At least 135 companies offer employees some form of meditation and/or yoga and the number of hospitals/clinics that provided mindfulness based stress reduction training for patients increased from 80 in 1993 to 250 in 2003. So what does this mean for HBS? Suken and I aim to look into whether meditation can help business leaders increase self-awareness, mental clarity, focus and emotional intelligence. It is often also claimed that meditation helps a leader develop more authenticity, tolerance and empathy, which leads to a greater sense of belongingness and responsibility for the communities they live and work in. We hope to gain some insights via a review of academic and popular literature, interviews with business leaders who practice meditation, and by meditating ourselves over the course of the semester to examine any impact. Meditation can have pain reliefing effects much greater than even morphine, one of the strongest drugs, according to a recent study. We are only beginning to understand the deep effects that meditation has on our bodies, and researchers are baffled, to say the least. It calms and relieves pain with unbelievable efficiency, reducing the pain by more than half, and also providing long term results. For this study, 15 volunteers who have never meditated before attended four 20 minute classes where they were thought how to meditate using a technique called focused attention. Mind you, ordinary people with only 80 minutes of training. Both before and after this training, their brain was monitored using a special type of imaging called arterial spin labelling magnetic resonance imaging (ASL MRI). For the purpose of this study, a pain inducing stimulae was applied on the volunteers, and the results showed that the amount of pain was reduced by approximately half after the meditation. The research also showed that meditation increased brain activity in areas including the anterior cingulate cortex, anterior insula and the orbito-frontal cortex. Of course, the advantages of such a technique are numerous: it’s easy to learn, free, offers tremendous pain relief, non invasive, and also has other benefits. Studies of meditation have shown that its regular practice that helps individuals cope with issues such as anxiety, stress, chronic pain and high blood pressure. In addition, more recent studies facilitated by brain scan technology have found that regular meditation practice helps prevent or delay age related cognitive decline including memory loss. In fact, it appears that regular meditation practice can change the brain in a variety of profound and healthful ways. If you spend any time with elderly people you know that cognitive decline is common. It is so common in fact, that we often make light of age associated memory loss referring it to “senior moments.” Brain researchers are now studying whether these declines are inevitable or whether they can be reversed. Many scientists now believe that the brain can change and even grow; that it responds to use much as our muscles respond to exercise. There are many examples of people who have recovered functions lost during stroke or other events. Andrew Newberg, M.D., who specializes in the study of the brain and spirituality, reported on some of his meditation research in a recent book entitled How God Changes Your Brain. One of his studies was designed to determine if meditation could help slow or reverse certain age related declines in brain function including memory loss. To conduct his study he taught non-meditators a technique that involved breath work, chanting, and repetition of simple hand movements called mudras in Eastern religious practice. He took baseline brain scans of his subjects and administered a test of cognitive skills. Study subjects were asked to practice this meditation technique twelve minutes a day for eight weeks, a relatively short period of time. This was followed by another brain scan and a new cognitive test. While the results varied, all subjects showed improvement in memory recall, concentration and verbal fluency. Overall improvement averaged between 10% and 20%. Brain scans confirmed that indeed changes occurred in the parts of the brain associated with these different functions. Other research also supports the value of meditation in keeping brains young. For example, we know that ordinarily the gray matter in our brains thins as we age. However, brain scans show that meditation actually helps preserve and add to the thickness of the gray matter especially in areas of the brain associated with learning and motor skills. This suggests that a meditator’s brain may be healthier and more youthful than that of their non-meditating peers. Further, the growth of gray cells in the motor skills part of the brain may have implications for balance and movement, also problem areas for elderly people. With all of these benefits, why don’t more people meditate? In a recent interview, Dr. Newberg suggested that it is because meditation requires a commitment of time and attention. He suggests that some forms of meditation such as mindfulness also require a facilitator. His advice to someone considering meditation is to evaluate your time and your lifestyle. Then select a form of meditation that fits so that you stick with it long enough to enjoy the benefits. How God Changes Your Brain, by Andrew Newberg, M.D. and Mark Robert Waldman. Random House Publishing Group, 2009. I like to meditate. It makes me feel at ease and I am convinced that the sense of calm it produces helps me to handle the daily challenges of my life. There are, of course, times when I don’t keep up my daily practice of sitting quietly for 10 or 15 minutes, but these are the times in my life when I experience more stress. Stress affects everyone. I don’t know a single person who doesn’t get stressed. But unfortunately, it plays a major role in illness. According to the Centers for Disease Control and Prevention, in fact, up to 90 percent of doctor visits in the U.S. may be stress related. Meditation is an antidote to stress, just as an aspirin can counter a headache. A regular practice can be a major boost to health. It calms the nervous system. It’s good for the immune system. It’s also good for the heart; it helps produce nitric oxide (not nitrous oxide — that’s laughing gas!) in the arteries, dilating them and reducing blood pressure. It also smooths heart rhythms. But thanks to an explosion of brain research we now know that it also physically impacts our gray matter. One study to show this was led by scientists at the Center for Functionally Integrative Neuroscience at Aarhus University in Denmark. Comparing MRI scans of the brains of meditators with the brains of non-meditators, they showed that meditation causes actual physical changes in the gray matter of the lower brain stem. Meditation makes the gray matter grow. In another study, scientists Giuseppe Pagoni and Milos Cekic, from the Department of Psychiatry and Behavioral Sciences at Emory University in Atlanta, compared the volume of gray matter in the brains of people performing Zen meditations with another group who were not meditators. The volume of our gray matter normally reduces as we get older and this is what the scientists found in the group of non-meditators. But for the meditators, their gray matter hadn’t reduced at all with age. According to the scientists, meditation had a ‘neuroprotective’ effect on the meditators: It protected the brain from some of the effects of aging. This mirrors some 2008 Harvard research that analyzed the genes of meditators against non-meditators. It was the first study of its kind to measure the genetic impact of meditation and found that 2,209 genes were differently activated in long-term meditation practitioners compared with non-meditators. 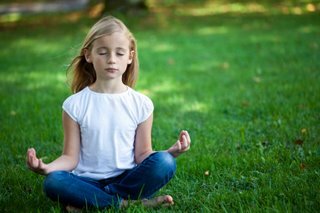 And even looking at novice meditators, they found that 1,561 genes were affected after only eight weeks of meditation practice. They concluded that the genetic effects of meditation may have long-term physiological consequences, one of which was a slowing down of the rate of aging. We have all heard the stories of people under extreme stress whose hair turns white in a matter of weeks. We know that stress can speed up aging. So why should it be a surprise to us that a technique to combat stress should be able to slow aging? There are many different forms of meditation. A study at Massachusetts General Hospital examined the impact of the Buddhist ‘Insight’ meditation on the brain. Insight meditation is a technique of moving our attention over the body or focusing on our breathing. The study found that it caused an increase in thickness of the prefrontal cortex in the brain, the part just above the eyes and associated with attention. Several areas of the brain are active when we meditate, but most pronounced is the prefrontal cortex because when we meditate we are focusing our attention on something — whether that be the body, our breathing, a word, a candle or even a spiritual ideal. When this area is active, just like a muscle being exercised, it grows. Neuroscientists use this analogy to describe the way the brain changes. When we exercise a muscle it becomes larger and denser with muscle mass. In a similar way, when we exercise any part of the brain, which we do when we meditate, it becomes larger and denser with neural mass — gray matter. The phenomenon is known as neuroplasticity and describes how the brain actually changes throughout life. When I attended university I learned that the brain is hardwired once we reach young adulthood. The analogy used is that when we are young, the brain is a bit like dough, which can be kneaded into various forms, but when we reach young adulthood we put the dough in the oven and it comes out with a bread crust on it. The brain is then ‘hardwired,’ we were taught. But this analogy has since been abandoned. We now know that we never put the dough in the oven. Our gray matter is ever-changing as we experience life; as we learn, walk, run, dance, and when we concentrate, as we do when we meditate. Our gray matter is changing until the last seconds of our life. It grows even with our last breath. For the study where meditation caused changes in the gray matter of the lower brain stem, see: P. Vestergaard-Poulsen, M. van Beek, J. Skewes, C. R. Bjarkam, M. Stubberup, J. Bertelsen, and A. Roepstorff, ‘Long-Term Meditation is Associated with Increased Gray Matter Density in the Brain Stem’, Neuroreport, 2009, 20(2), 170-174. For the study where Zen meditation impacted gray matter, see: G. Pagoni and M. Cekic, ‘Age Effects on Gray Matter Volume and Attentional Performance in Zen Meditation’, Neurobiology of Aging, 2007, 28(10), 1623-1627. 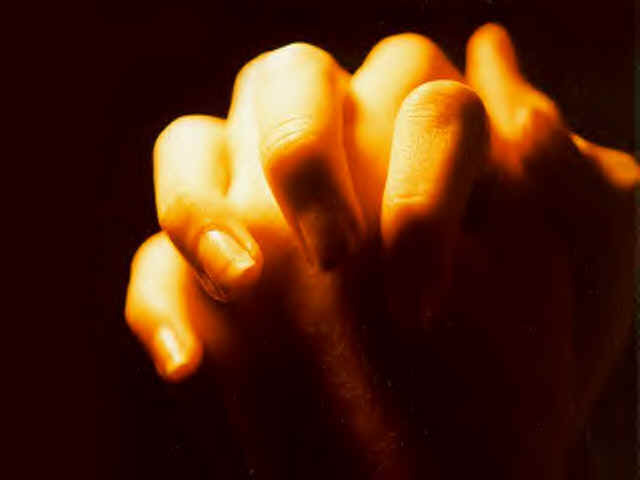 For the study where meditation produced effects at the genetic level, see: J. A. Dusek, H. H. Otu, A. L. Wohnhueter, M. Bhasin, L. F. Zerbini, M. G., Joseph, H. Benson, and T. A. Liberman, ‘Genomic Counter-Stress Changes Induced by the Relaxation Response’, PLoS ONE, 2008, 3(7), e2576, 1-8. For the effect of the Buddhist Insight meditation on the prefrontal cortex, see: S. W. Lazar, C. A. Kerr, R. H. Wasserman, J. R. Craig, D. N. Greve, M. T. Treadway, M. McGarvey, B. T. Quinn, J. A. Dusek, H. Benson, S. L. Rauch, C. I. Moore, and B. Fischi, ‘Meditation Experience is Associated with Increased Cortical Thickness’, Neuroreport, 2005, 16(17), 1893-1897.